The South Hams Arts Forum is an active band of artists and craftsmen from across the region. SHAF has grown continually since its foundation in 2000, holding a number of exhibitions and Arts Trails in the area. Far from being a high-powered organisation, we are a friendly group of talented and enthusiastic individuals, always happy to hear from new artists within the South Hams. If you are interested in joining The South Hams Arts Forum and would like more information please get in touch with Martine O'Malley our membership secretary. Currently we have artists and craftsmen from various disciplines, and are keen to collaborate with performing artists from across the region. SHAF is an artist-led organisation, run by members for members. We aim to promote and encourage art in the community and offer networking opportunities for local artists, whether established or emerging. All members are encouraged to attend meetings and get involved. Membership runs from the 1st March and is currently £25 per year, offering opportunities to take part in many exhibitions and events around the area as well as an individual artist’s page and advertising for your exhibitions on our website. We are proud to announce that this year's edition of the Arts Trail is set to last over two weeks. From Saturday 14th of October and until Sunday 29th of October, giving visitors the time to cover even more venues! And with an ever growing number of members in our association, we forecast a varied event with new artists and venues, as well as the latest and newest works by the artists you already know and love. 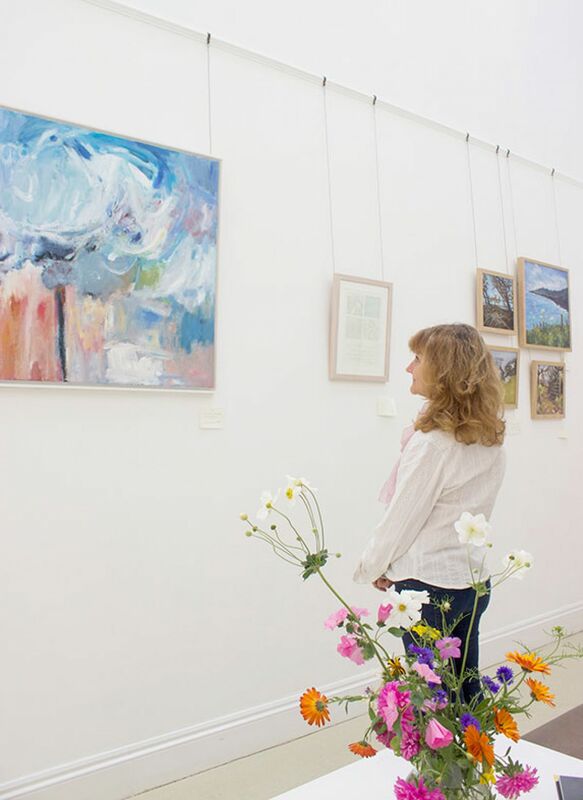 The Arts Trail is one of the biggest Art events in the South Hams, opening the doors of artists studios, exhibition halls and galleries to showcase the latest work by our featured artists across the region. At each venue the artists will be happy to discuss their work, explain the processes involved and give visitors the opportunity to look at and appreciate unique pieces of work – many of which are for sale. The Trail is designed to lead visitors to discover not only SHAF artists and their work, but also explore the beautiful South Hams Coastal area. All the publicity material, including the brochure, will be available from September 1st for both download on our website and distribution to information centres, shops, hotels and libraries across the South Hams. Make sure you like SHAF on Facebook for our latest news about the event!